PROPERTY SUMMARY An extensively extended and improved semi-detached family home which is situated in a popular residential location yet within easy access of commutable road links, shopping amenities, bus routes, recreation grounds and within catchment for both Solent and Springfield Schools (subject to confirmation). 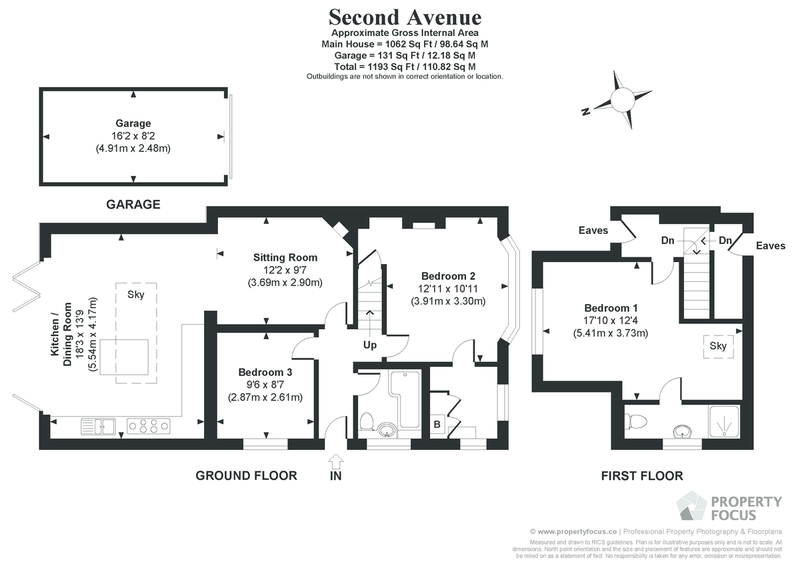 The accommodation is arranged over two floor and comprises; hallway, bedroom with en-suite dressing room, family bathroom, second bedroom, living room opening into a large 18' kitchen / dining room on the ground floor with the master bedroom and en- suite shower room on the first floor. Having some underfloor heating, tri-folding doors leading to rear garden, a fully fitted kitchen inc. appliances, double glazing as well as a good size rear garden with workshop (former garage), off road car parking and fitted floor coverings throughout, early internal viewing is strongly recommended in order to appreciate both the accommodation and location on offer. HALLWAY Textured ceiling, wood laminate flooring, mains smoke alarm, doors to primary rooms, staircase rising to first floor. BEDROOM 3 9' 6" x 8' 7" (2.84m x 2.59m) Double glazed frosted window to side aspect, radiator, power points, dual USB point, panelled door. BATHROOM White suite comprising; 'P' shaped panelled bath with shower screen over with power shower, mixer tap and shelf to one end, ceramic tiled splashback, vanity unit with wash hand basin, mixer tap and cupboards under, close coupled w.c., with twin flush, double glazed frosted glass window to side aspect, marble tiled flooring with underfloor heating, extractor fan, shaver point and light, ceiling spotlights, dual fuel heated towel rail. BEDROOM 2 12' 11" x 10' 11" (3.91m x 3.28m) Into bay window, increasing to maximum 13'4", recess under stairs with louvre doored built-in storage cupboard, ceiling coving, double glazed bay window to front aspect, dual USB socket, telephone point, radiator, power points, panelled door. WALK IN WARDROBE 6' 4" x 6' 0" (1.93m x 1.83m) Louvre doored built-in cupboard housing gas meter and wall mounted 'Vaillant' boiler supplying domestic hot water and central heating (new 2018), low level cupboard housing electric meter with shelf over, double glazed frosted windows to side and front aspect, power points. KITCHEN / DINING ROOM 18' 3" x 13' 9" (5.54m x 4.17m) Feature central 3m x 1.5m lantern light, tri-fold doors to rear aspect leading to garden, laminate flooring with underfloor heating, comprehensive range of white gloss wall and floor units, inset 1½ bowl sink unit with mixer tap and cupboard space under, integrated appliances including dishwasher, washing machine, fridge and freezer, full size duel fuel Rangemaster cooker, curved multi-colour illuminated cooker hood, low level pelmet lighting, range of drawers, ceramic tiled surrounds, two wall mounted units with glazed panelled doors and shelving, corner carousel unit with shelving, two larder style units with pull-out open shelving, under unit lighting, ceiling spotlights, central island with breakfast bar to one side with range of pan drawers and cupboards to the other, power points. EN-SUITE SHOWER ROOM Shower cubicle with Rainforest style hood and separate shower attachment, laminate tiled flooring, dual fuel heated towel rail, double glazed frosted window to side aspect, shaver point and light, extractor fan, sloping ceilings with slight eaves to ceiling restricting headroom, concealed cistern w.c., with shelf over, wash hand basin with cupboard space under. OUTSIDE To the left hand side of the property is pedestrian access via gateway with fence panelling to one side leading to a large paved area, outside lighting, retaining walls with fence panelling to left hand side and hedge to the right, pathway to the right hand side of the garage leading to raised vegetable patch, wooden built garden shed. GARAGE 16' 2" x 8' 2" (4.88m x 2.57m) Electric lighting and power with separate consumer box.